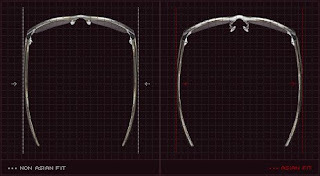 Medium to bright light. 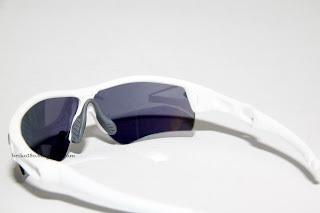 Features a neutral lens tint with an Iridium® coating to tune contrast and reduce glare. 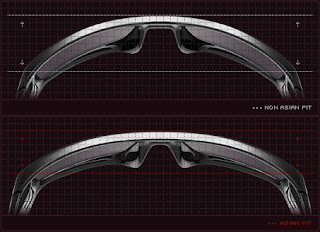 Flat to medium light. Filters blue light to increase contrast and improve depth perception in a wide variety of conditions. 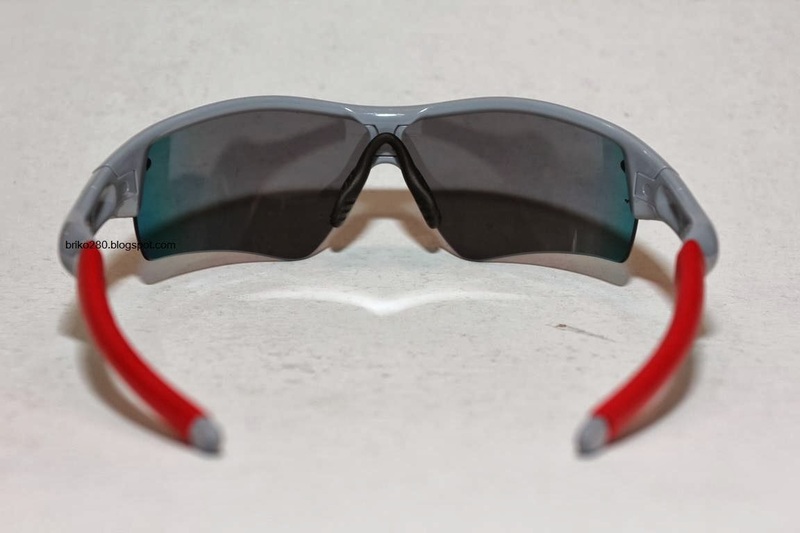 These are perfect for when you want to prevent even more glare on asphalt or water. 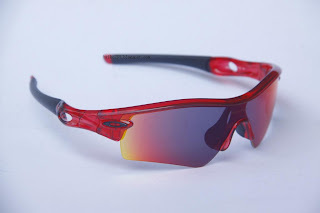 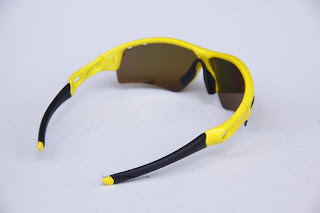 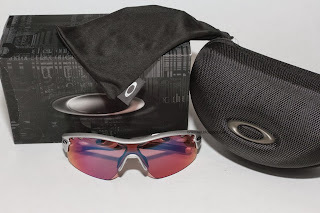 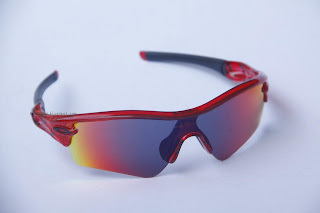 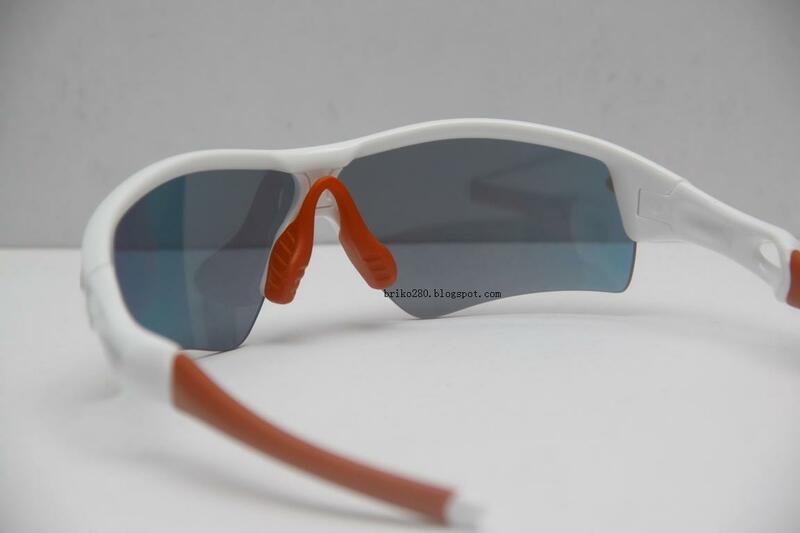 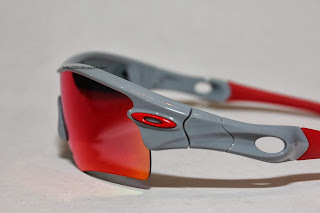 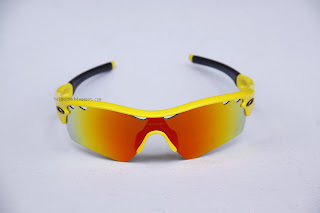 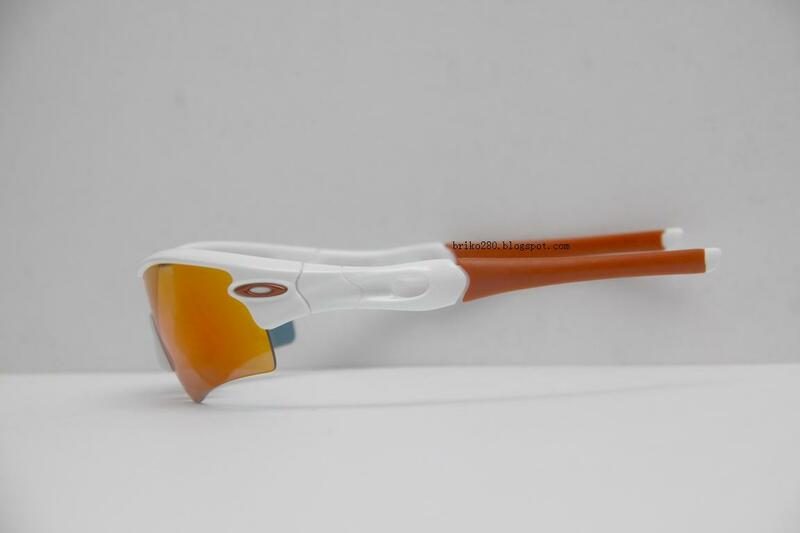 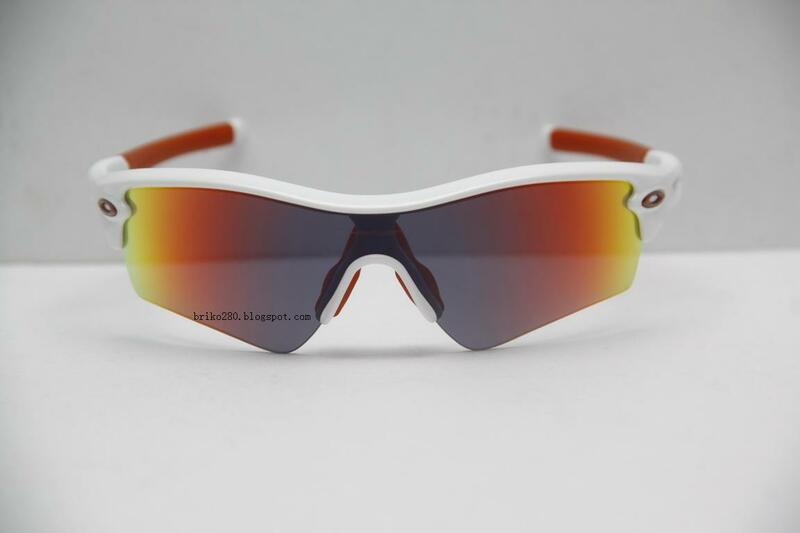 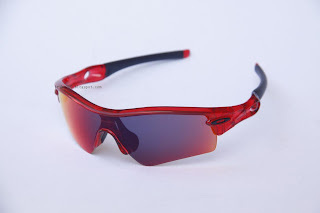 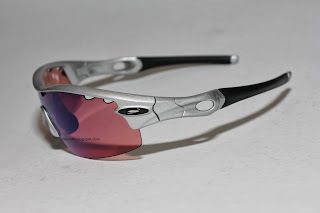 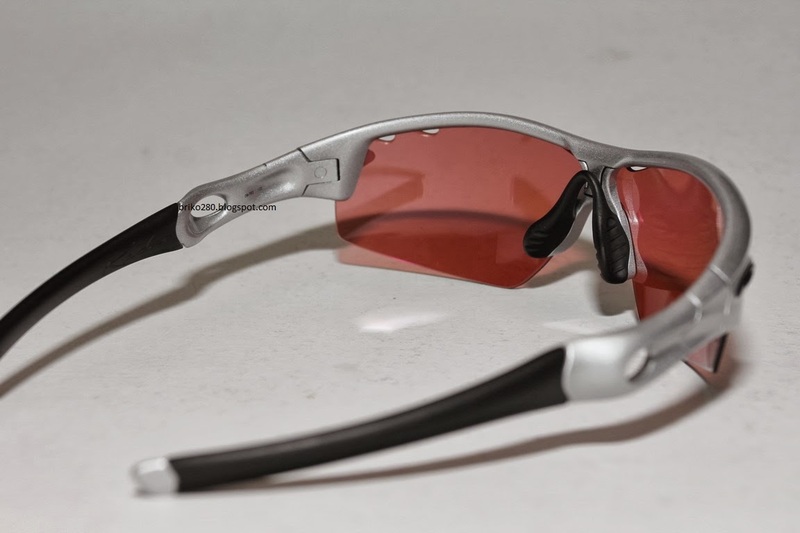 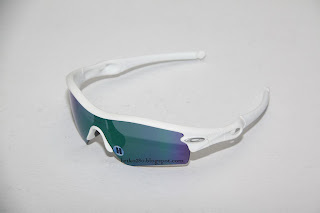 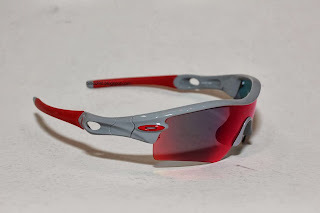 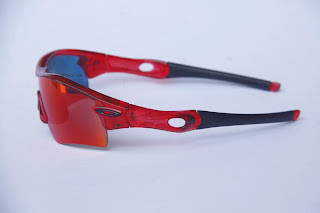 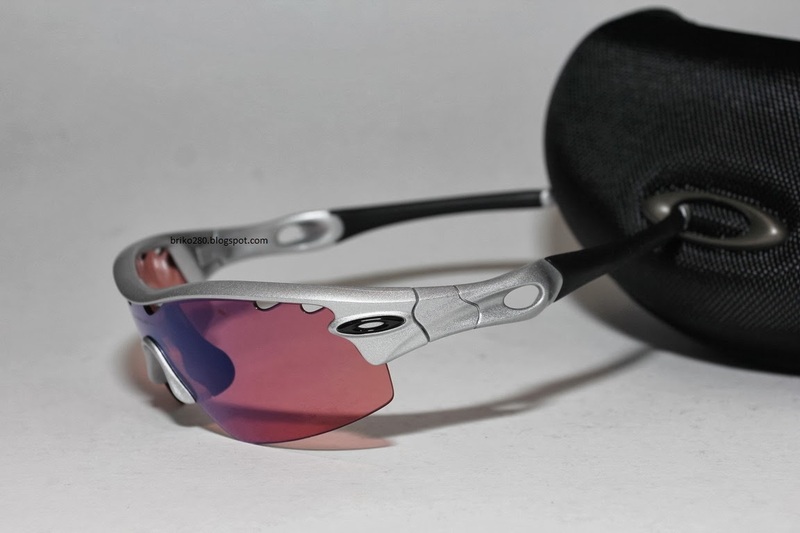 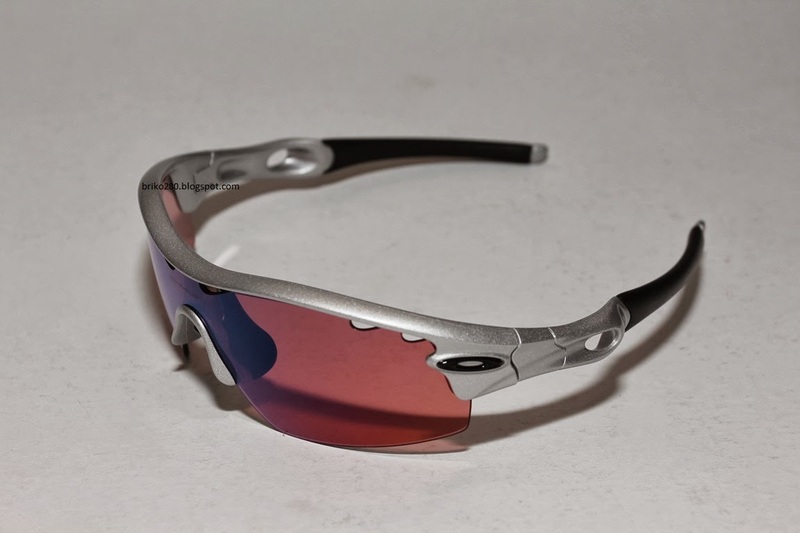 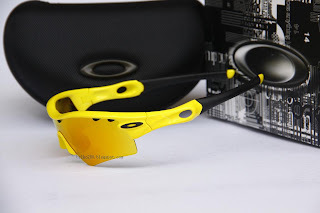 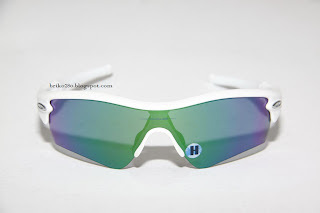 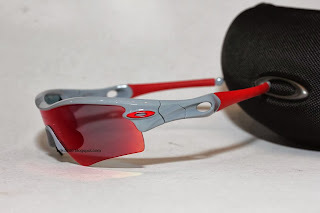 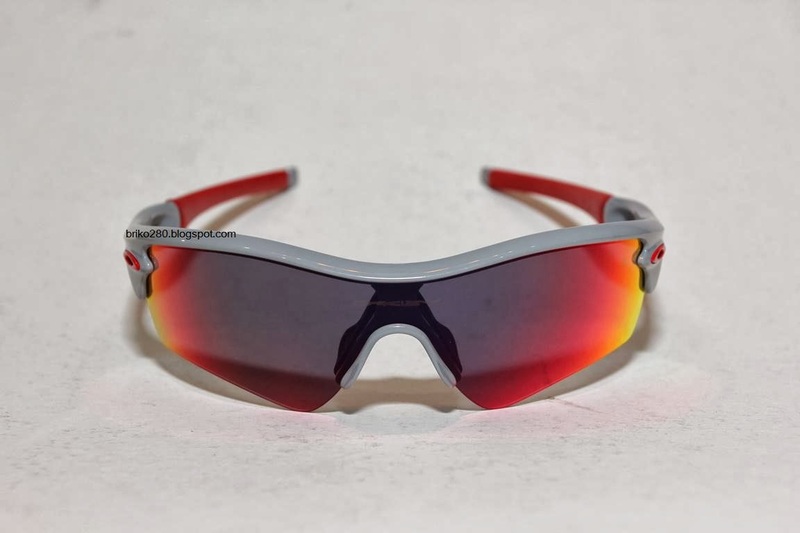 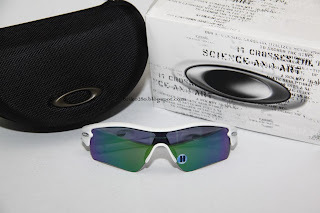 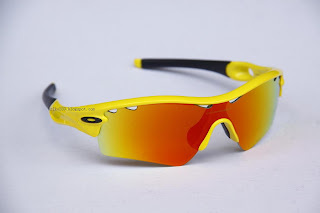 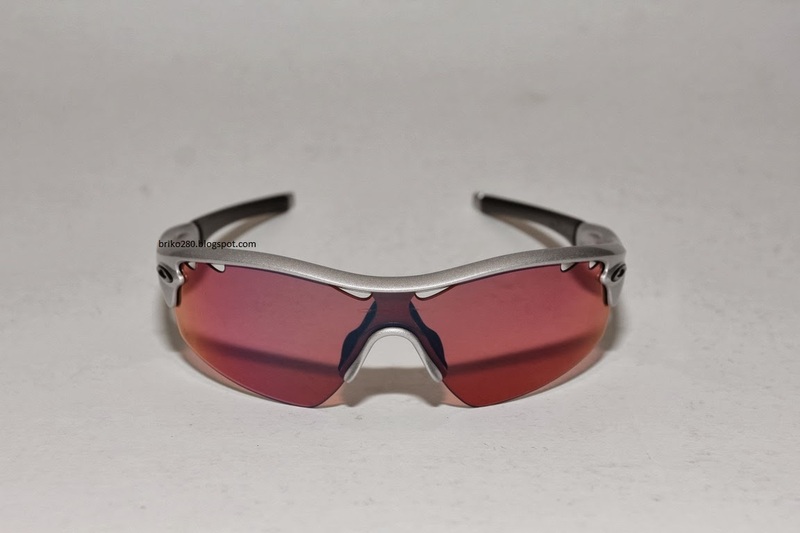 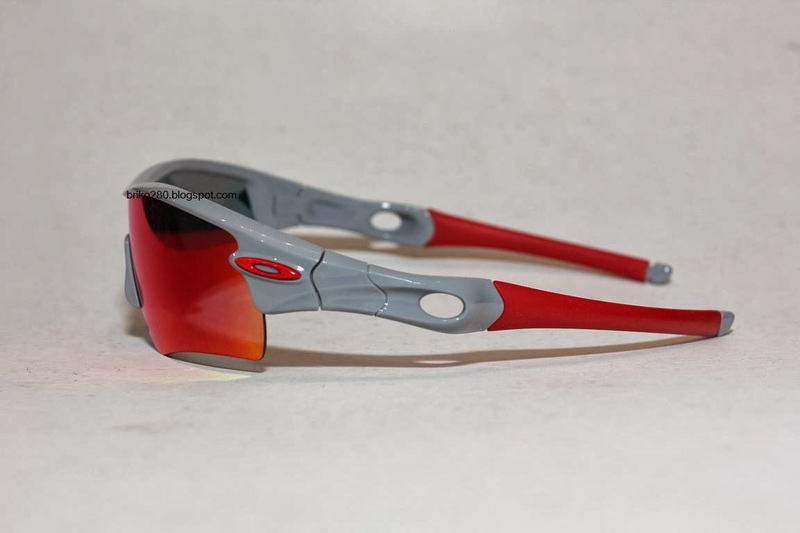 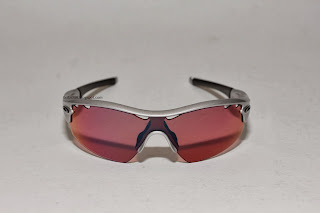 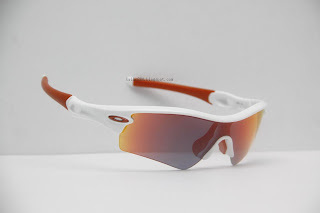 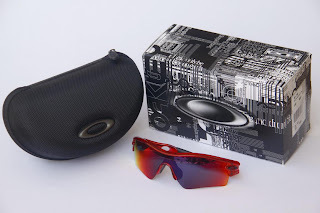 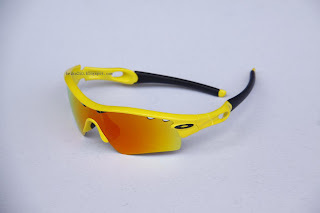 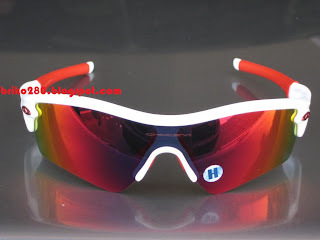 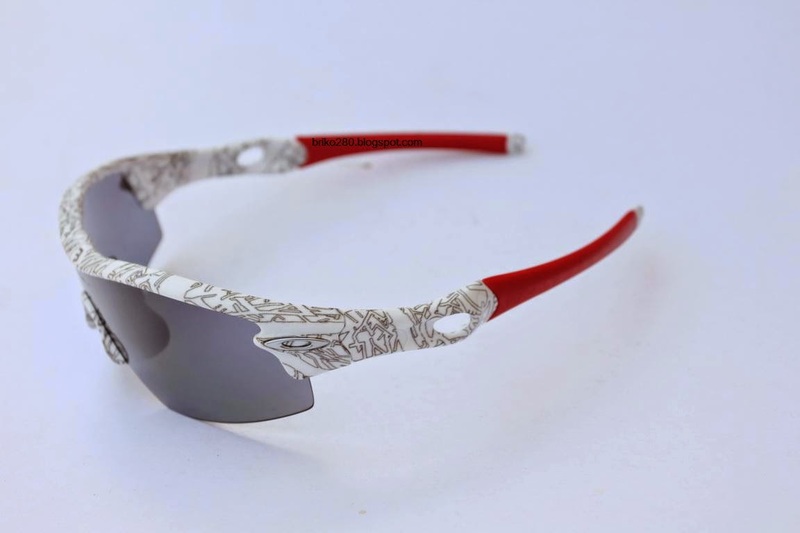 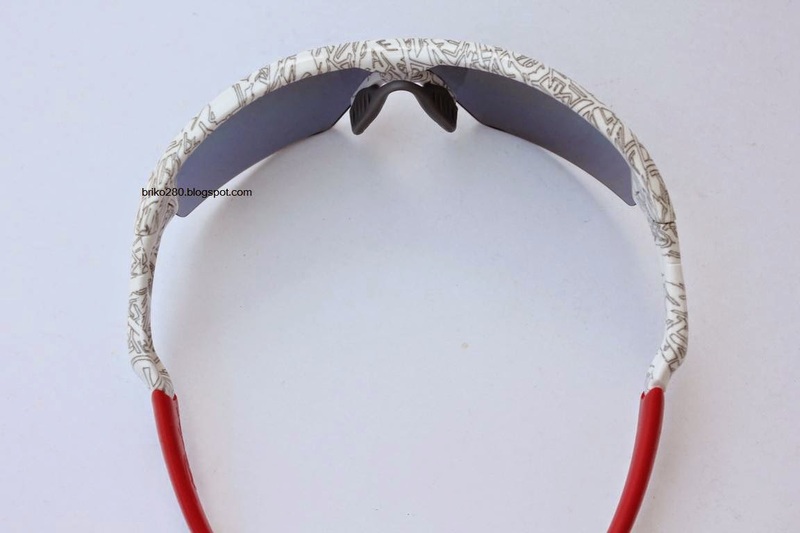 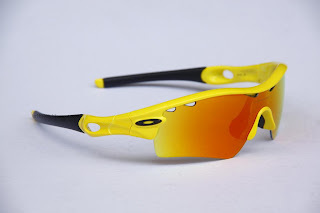 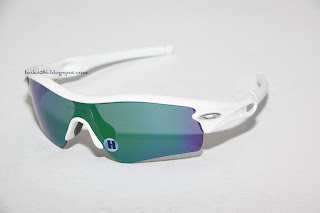 The lenses incorporate Oakley’s unique permanent Iridium coating and effectively turn light transmission even more, made particularly for use in the medium-bright light that comes with hazy skies. Moving one step further, Oakley HD Polarized lenses are now available in a collection of high-performance tints called OO Polarized which incorporate a unique filter that balances light waves to provide rich, vibrant color and all round better visual contrast. 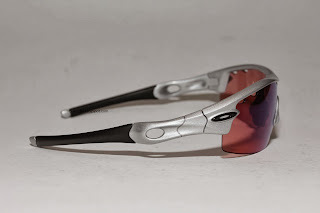 Ultimately Oakley OO Polarized lenses help you judge depth and distance more accurately whilst allowing you to enjoy those small visual details that you may otherwise miss out on! You already know that Oakley Polarized delivers true neutral color recognition that sets the gold standard for HDO. 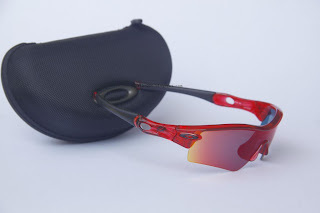 But what you may not know is that the glare control and clarity of Polarized can be supplemented with color contrasting technology that enhances HDO in certain environments. 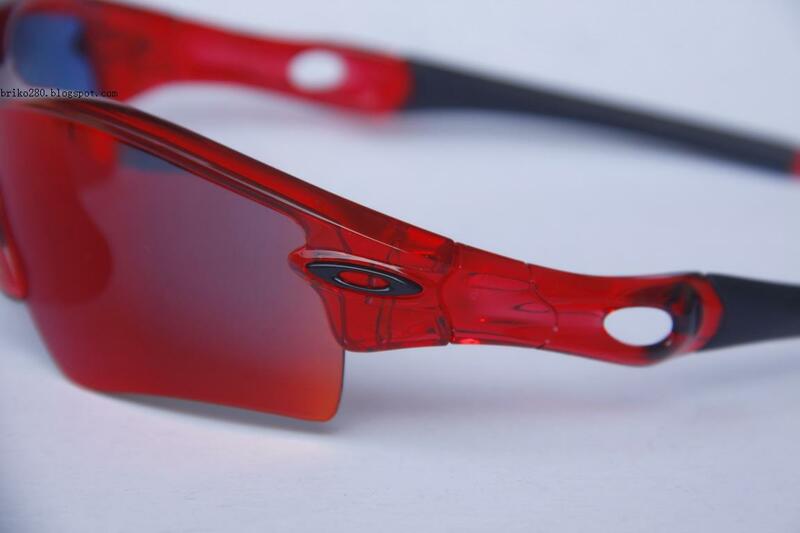 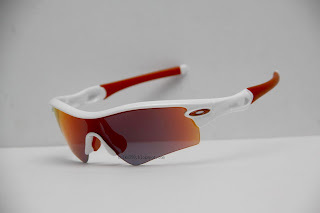 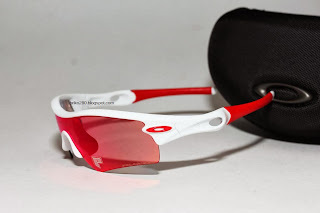 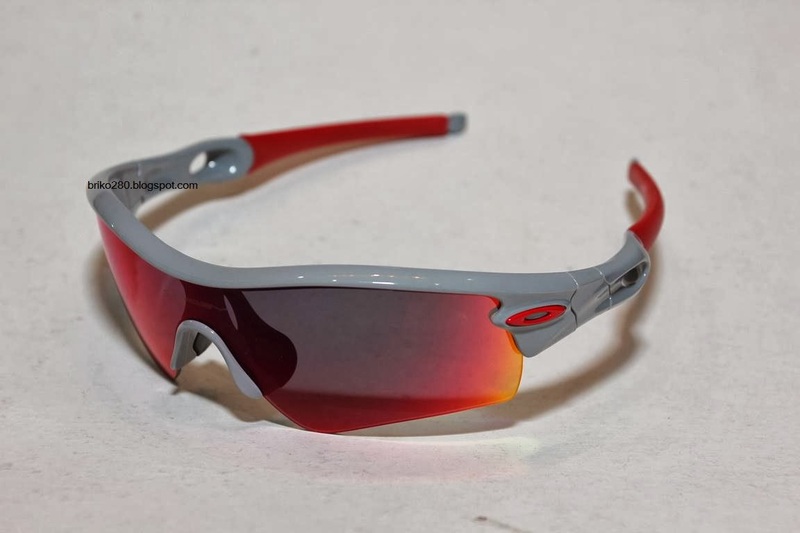 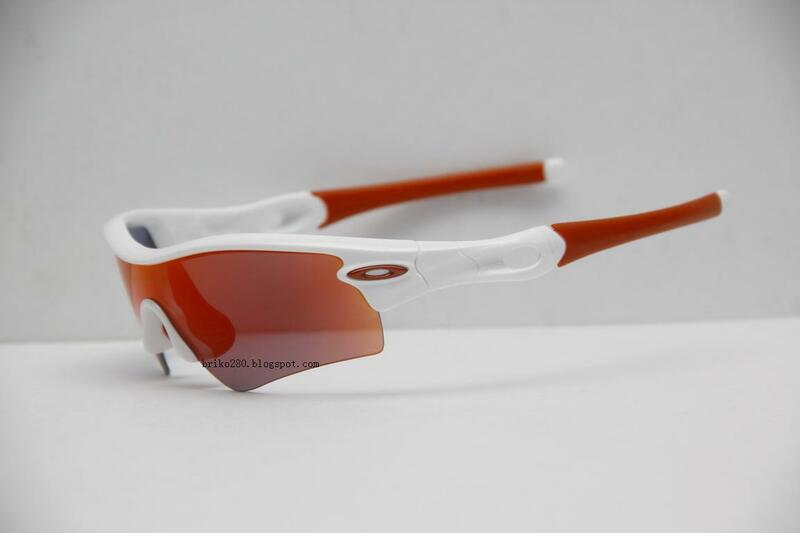 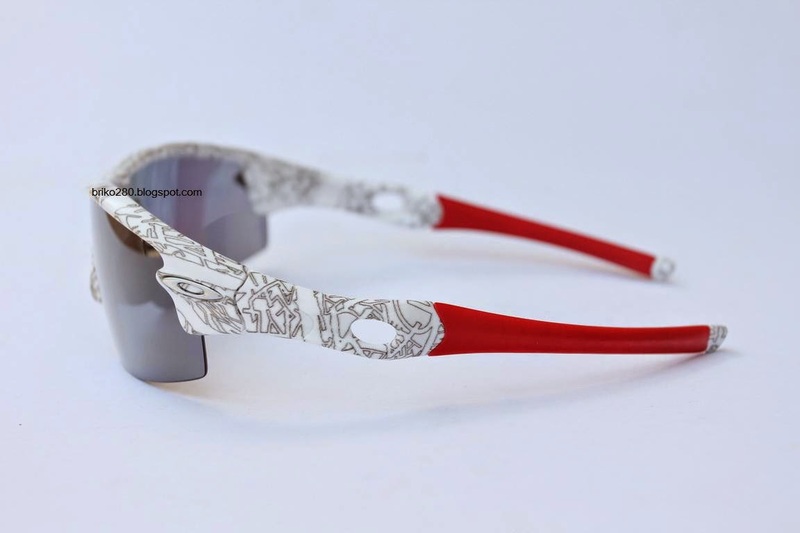 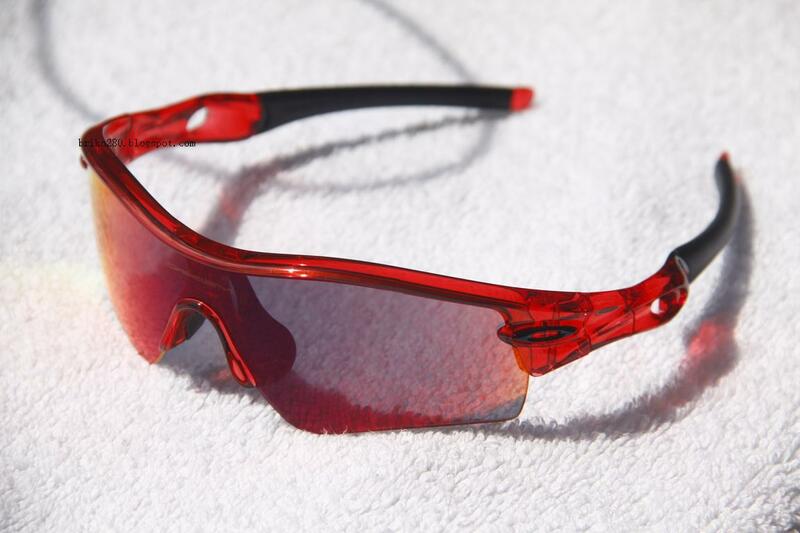 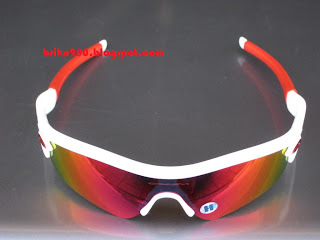 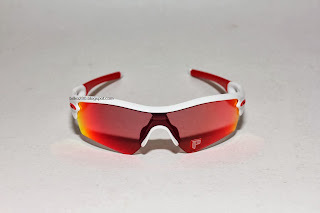 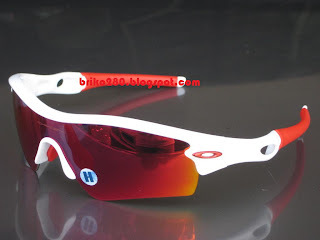 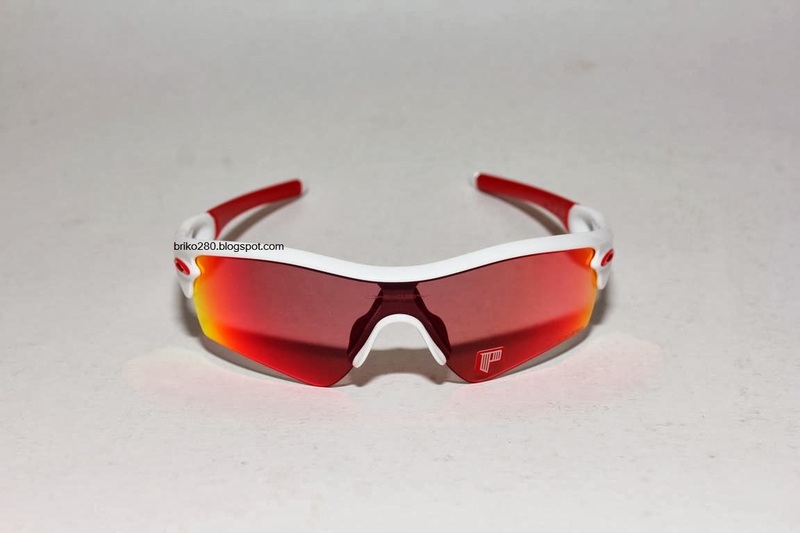 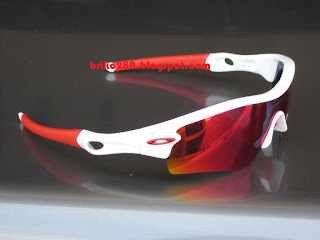 Crystal Red frame with Positive Red Iridium Path lense..
oakley Radar Lemon Peel frame with Fire Iridium Vented Path lense.. 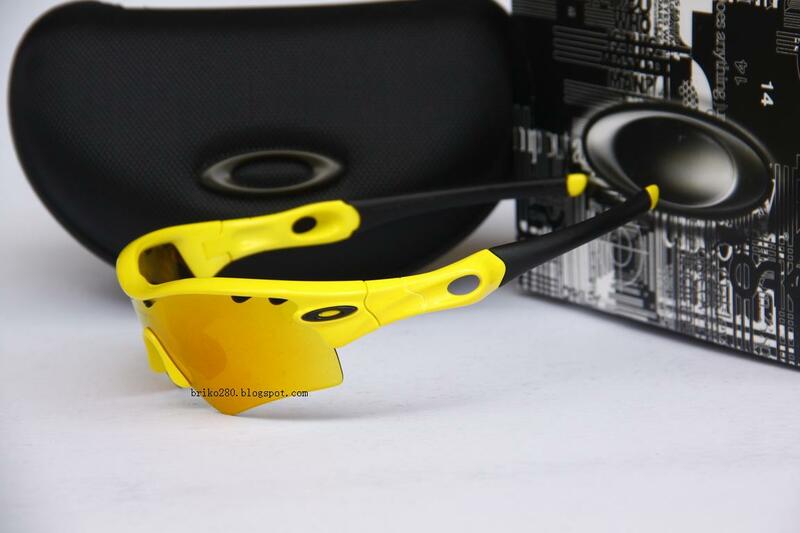 Medium to bright light. 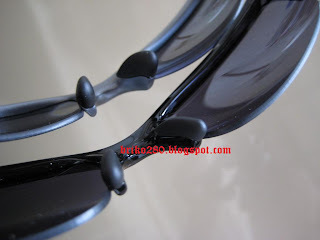 Improves visual acuity. 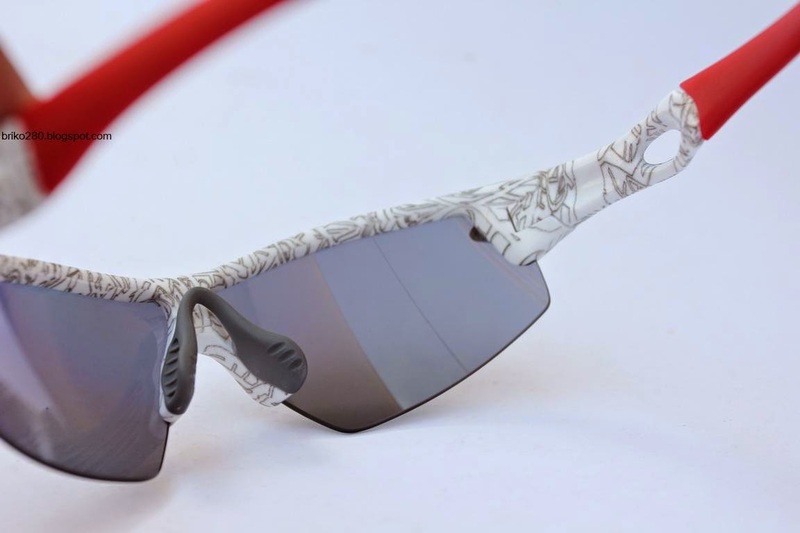 Features an Iridium® coating to further tune contrast and reduce glare. 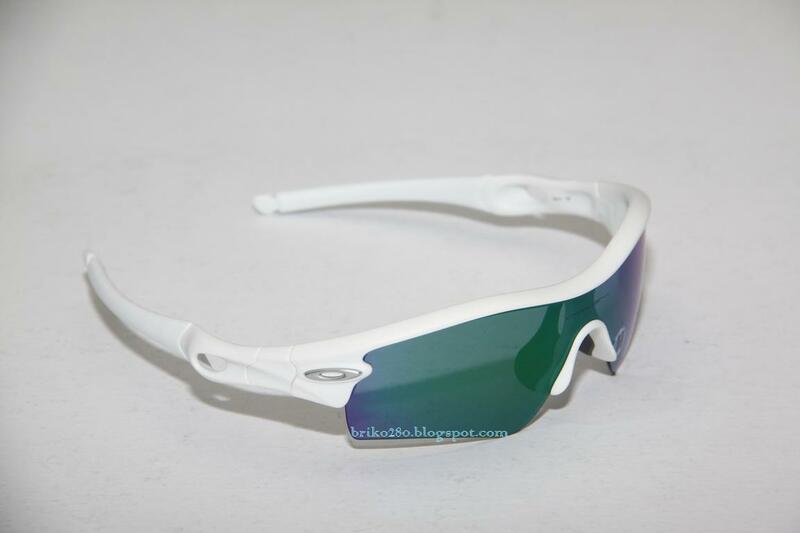 Radar MatteWhite frame with Jade Iridium Path lense..
PolishedWhite frame with +RedIridium Path lense..
Order a WhiteChrome frame with BlueIridium lense, but the frame I got looks more like a PolishedAluminium frame. 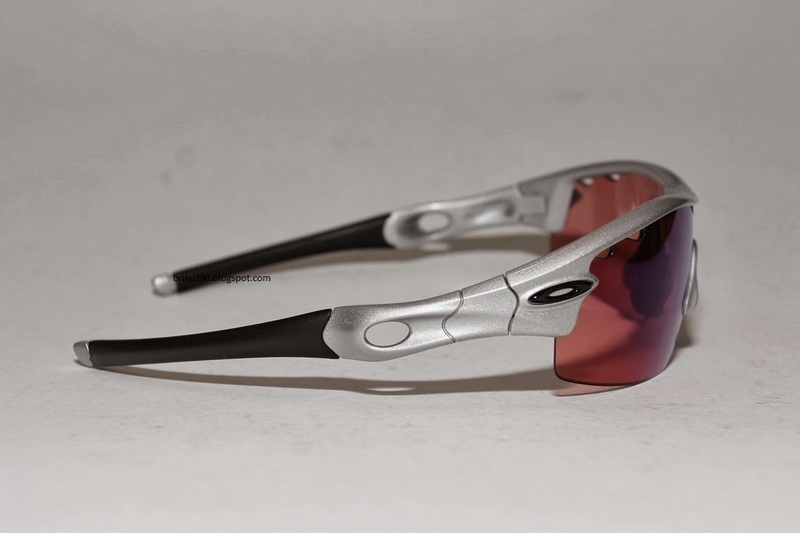 Then claim back a new-WhiteChrome frame from oakley..
Brown frame with TungstenIridium lense, still Path lense is my favourite..
PolishedBlack frame with G26 Pitch lense.. 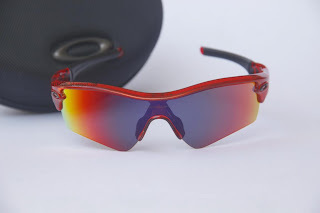 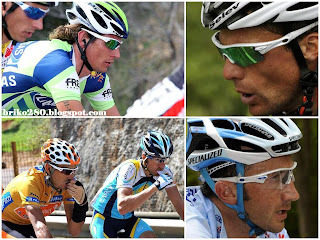 Though it's a shooting-specific lense, but can wear it for cycling too.. 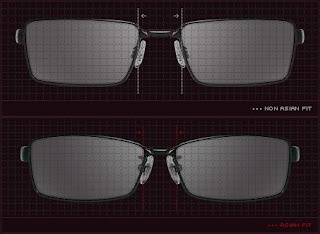 I would prefer a Path lense as it's smaller.. Sport performance lens for flat to medium light. Rose base with a subtle Iridium® coating to improve contrast and depth perception in blues and greens. 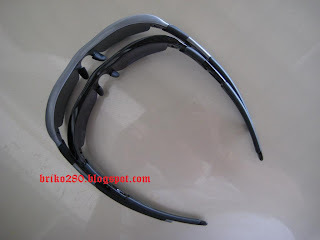 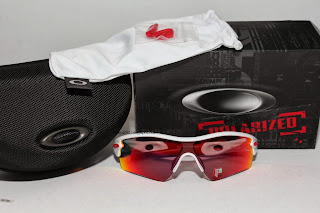 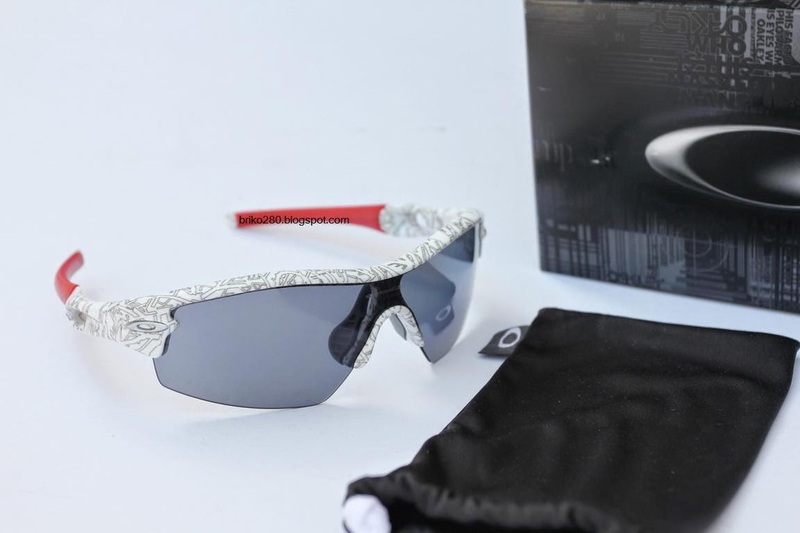 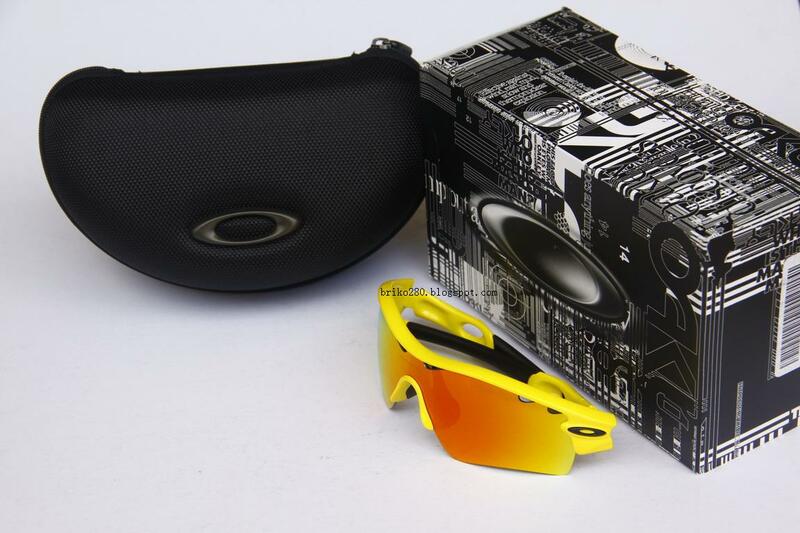 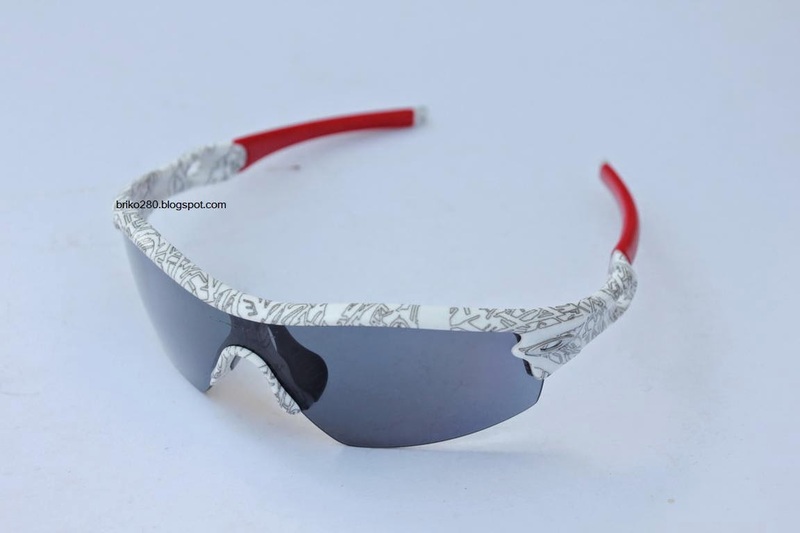 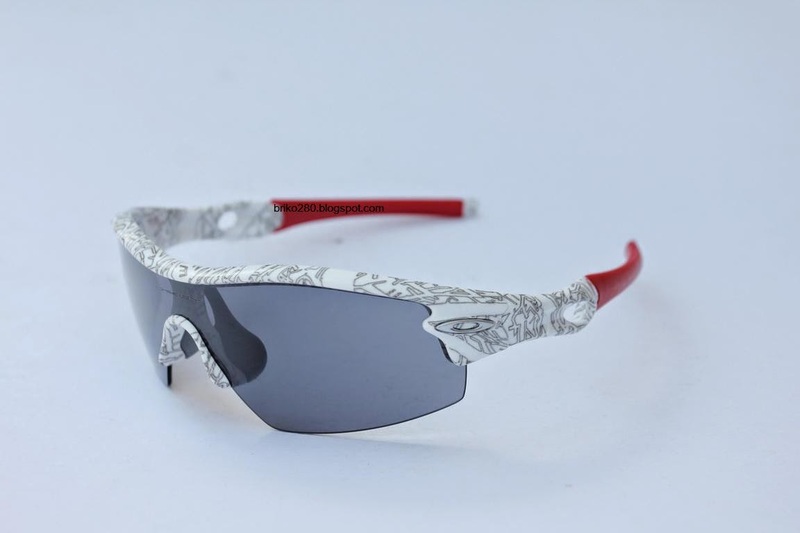 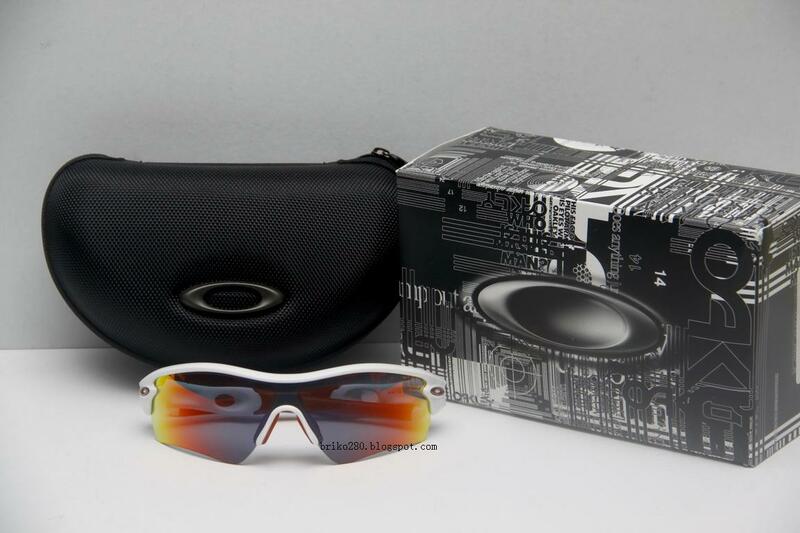 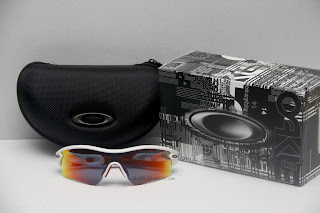 Excellent for golf and in forest..
oakley Radar - MetallicRed frame with VR28 Black Iridium Range Lense. 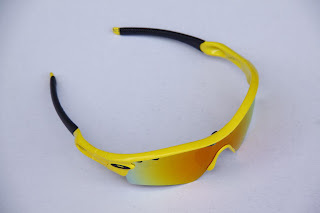 VR28 Black Iridium with Light index 3 only allows 18% light transmission. 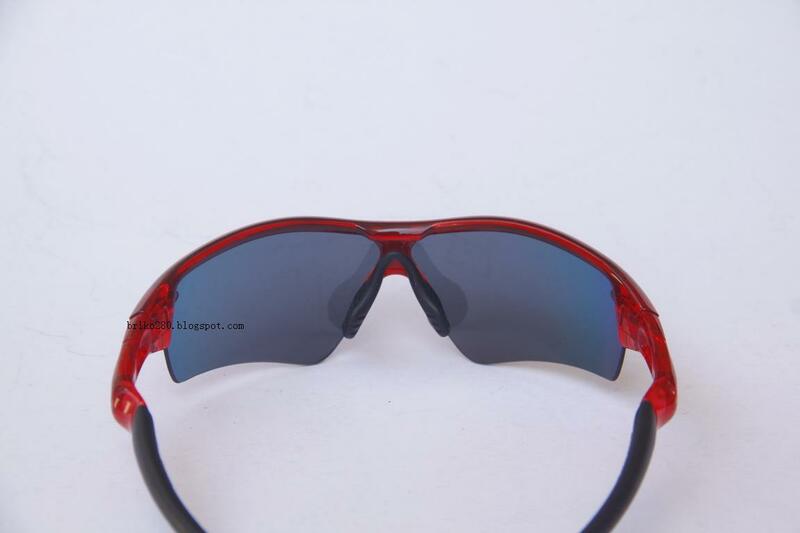 It's a great lense for medium to bright light, and also Increasing Contrast. 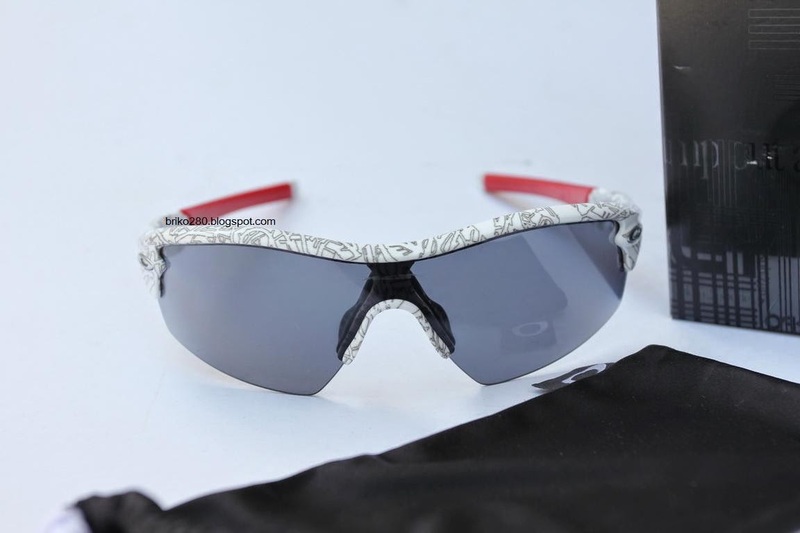 Radar Asian-Fit PolishedBlack frame with G26 Iridium Path lense..